"Change is the only constant. Hanging on is the only sin." Let's face it: change isn't easy. It makes us uncomfortable with where we are. It makes us feel like we're falling behind. It makes us question whether what we know now will be good enough tomorrow. On the other hand, change can reap great rewards. It opens up new opportunities for us to seize. It pushes us to think differently, to innovate, to create and adapt. And ultimately, it forces us to move forward - to grow as a person and as an organization. This was the topic of the first event in Nspire's Discovery Series - a student-run organization and event that promotes entrepreneurship and growth - called "Leading Change". The night included three inspiring speakers, who each imparted their take on making change a key part of our strategy for success. 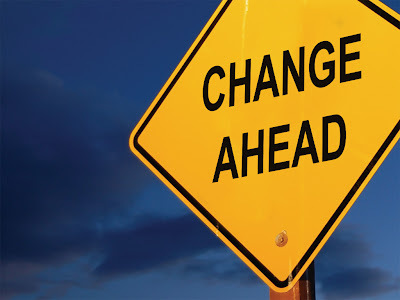 In this post, I'll touch upon the three aspects of change covered at the event - enjoy! The first talk, by Rick Spence, President at Canadian Entrepreneur Communications, focused on the big picture of the overall business landscape, and how to find success in some of its most critical changes. Rick began by emphasizing the unique situation that we're currently in. Startups and entrepreneurship have in the past been the domain of the old and rich - you needed capital, and equipment, to get a startup going. But now, with the Internet, even the young can build a startup for almost nothing. When it comes to information, the "economy of abundance" that we live in will make it possible for us to do things that were never thought possible just a few decades ago. The economy is now a global. The world is your marketplace, at every stage - from ideation to production to the sales floor. The immigrant experience, and a global perspective towards problems, is now an advantage! (Think cultural understanding and global contacts). We must understand global trends, issues, common values, and needs, if we are to succeed. Unlimited connectivity. Crowdsourcing, mobile applications, and social media allow brands and companies to connect with people in a variety of ways on a variety of levels. Make the most of them! Measure everything. We’re increasingly living in a data-driven world (think Moneyball!). “What gets measured gets done.” That includes timelines and deadlines. Insist on the measurement of all your activity. Hire and keep the best talent. Skilled employees with initiative and imagination are in short supply. Staffing is all about finding proactive talent, not serfs. Make sure your organization has an employee-oriented culture. Trust is critical. The economy is based on trust and social media makes that even more apparent. Trust equals value - it's even more valuable than cash. Trust is about having someone’s back, it's about authenticity, and it's about transparency. Gladstone Grant, VP of the Developer and Platform Group at Microsoft Canada, spoke about the importance of driving change at our organization and becoming "change agents". The biggest challenge that we'll face in doing this? The process of change is hard. As one moves from stability, to doubt, to hope, one's discomfort level rises. This is often a key inhibitor of change - in fact, the closer change gets, the less comfortable people become. First, build a case for change - why should we do it? Provide a vision for success - what will we get out of it? Come with a game plan - how will we make it happen? Lead others through the uncertainty - know that we can do it. Finally, sustain your momentum - when you start moving, keep moving! His final message for us was to get out of our comfort zones and take on new challenges - working this mentality into everything we do. Driving change means taking risks and accepting the consequences. It means inspiring others with what's possible. It means striving to motivate, not falter. It calls for tenacity and persistence, but not inflexibility. Finally, driving change isn't about activities, it's about results - so make it happen! The final speaker of the night was George Babu, one of the Co-founders of Rypple. He stressed the importance of making change an essential part of your organization's culture - it's DNA. As he put it, "If you don't take up with change, you'll get crushed by it." The example he used to illustrate the folly of avoiding change was RIM, his former employer. RIM's problem, he stated plainly, is that their leaders are obsessed with efficiency, not innovation - and failed to see that it's innovation that now drives the mobile marketplace. They refuse to change, and it's slowly killing their business. The main issue? Changing involves leaving a piece of yourself behind. Can RIM ultimately make that sacrifice and more forward? Overall, it was an inspiring event, and left me thinking about how I could lead change in my community, organization, this city, and ultimately, the world. I hope this post inspires you, too.